What is Wrap A Bottom®? Wrap A Bottom is a diaper collection effort started by Harvester Christian Church to meet an extreme diaper need in the St. Louis area. Diaper need is the inability of a mother or family to purchase clean disposable diapers for their child. So, where do I bring my donations? Provide logistical support by way of storage, volunteers, or transportation. Provide promotional support through various media via donations or media connections. For more information or to get involved contact Local Outreach Pastor Bill Sontag. Women who report diaper need are more likely to also report mental health issues. The cycle of poverty continues with those who can’t afford diapers! Most daycare providers require a day’s supply of diapers per child. If a mother can’t afford diapers she can’t place her child in daycare, and without daycare she can’t pursue employment to pay for the diapers she needs. Round and round it goes! 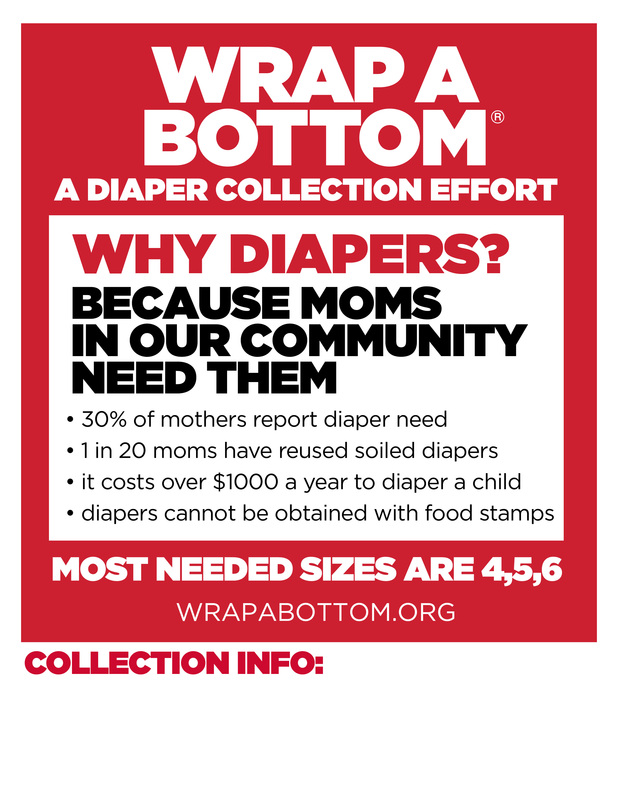 Wrap A Bottom® diaper collections at our St. Charles campus will continue in 2021. 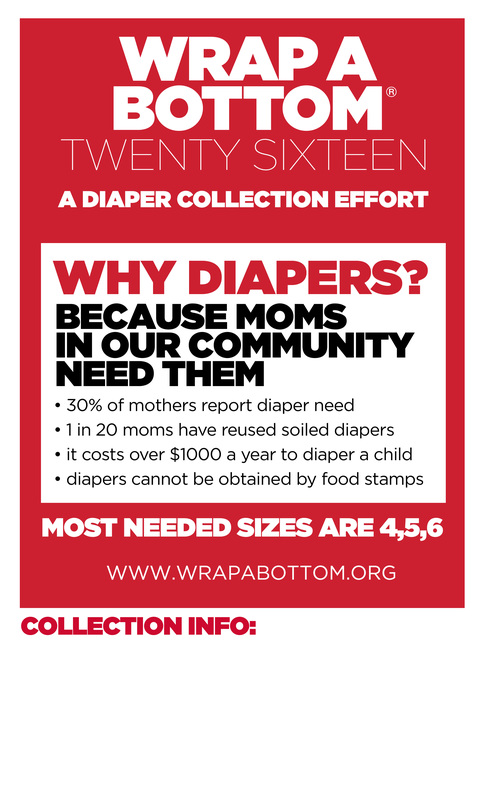 Wrap A Bottom® diaper collections at our Troy campus will be from Nov. 11 – Dec. 16, 2018. Diapers can brought to a weekend service at the Troy campus on Sunday’s at 9am and 10:30am.